Iran, Sept. 10, 2018 - The Iranian regime’s Revolutionary Guards (IRGC) has accepted responsibility for a recent missile attack targeting Iranian Kurdish dissidents based in Iraq. This missile barrage on the Kurdistan Democratic Party (KDP) site coincided with the execution of three Kurdish political prisoners early Saturday morning local time in Gohardasht (Rajaie Shahr) Prison of Karaj, west of Tehran. “The missile unit of the IRGC Air & Space Force, in cooperation with the IRGC Ground Forces Drone Unit, targeted a group’s base and the session on Saturday with seven short-range surface-to-surface missiles,” the statement adds.  The KDP issues a statement on mullahs’ vicious crimes saying the KDP Political Office base came under an IRGC aerial attack while the party’s Central Committee was holding a session. The KDP restated that when facing an increasing wave of domestic unrest at home and international political/economic pressures, the Islamic republic regime resorts to the crackdown, aggression, crimes and terrorist measures against freedom lovers of Kurdistan and Iran inside the country and abroad. 15 KDP members were killed and nearly 40 others were injured, the Kurdish dissident group specified in another statement. Four KDP Central Committee members, including Karim Mahdavi, Ebrahim Ebrahimi, Nasrin Haddad, Rahman Pirouti and two life-long members of the Central Committee, Soheila Ghaderi and Hashem Aziza, were among those killed in this missile attack. Iranian opposition President Maryam Rajavi strongly condemned the execution of three Kurdish political prisoners and the missile attack launched against the Kurdistan Democratic Party by the mullahs’ regime, describing these measures as crimes against humanity and called for immediate measures by the United Nations Security Council. Mrs. Rajavi called on the people of Kurdistan and all of Iran to rise in uprisings and protest. “I call on the courageous people of #Kurdistan & across #Iran to rise up against the anti-human mullahs’ regime that is hell-bent on stepping up terror, repression, executions, and missile attacks to extinguish the people’s uprising. But it will take that wish to the grave,” Rajavi said in a tweet.